It won't take Risk of Rain 2 players long to realize that the game doesn't offer very many explicit instructions. It's easy to find the game's various challenges listed in the menu, but sometimes the directions aren't exactly helpful. Such is the case with the Moon Worshipper challenge, which tasks players with carrying 5 Lunar items in a single run. The questions are obvious: What are Lunar items, where can they be found, and what does completion of the Moon Worshipper challenge reward? Read on to find out. To complete the Moon Worshipper challenge in Risk of Rain 2, players need to "Carry 5 Lunar items in a single run." While that instruction is easy enough to understand, players could very likely make several long runs through the game and never once find a single Lunar item. Alternatively, they may come across one such piece of equipment and yet be unaware that it is actually a Lunar item. Be on the lookout for Lunar Coins to help complete the Moon Worshipper challenge. Brittle Crown - 30% chance on hit to gain 3 (+3 per stack) gold. Lose gold equal to the amount you are hit for OR lose % gold equal to the % maximum health you lost. Automatically chooses the greater of the two. Corpsebloom - Heal +100% (+100% per stack) more. All healing is applied over time. Can heal for a maximum of 10% (reduced by 50% per stack) of your health per second. Gesture of the Drowned - Reduce Equipment cooldown by 50% (+50% per stack). Forces your Equipment to activate whenever it is off cooldown. Unlocked by completing The Demon and the Crabs challenge. Shaped Glass - Increase base damage by 100% (+100% per stack). Reduce maximum health by 50% (50% per stack). Transcendence - Convert all but 1 health into regenerating shields. (Shields regenerate faster than base health regen) Gain 50% (+25% per stack) maximum health. To complete the Moon Worshipper challenge, players will need to collect a total of five of these items. It can be five of the same item or one of each Lunar item, but the number must be five. If they can amass five in a single run, the challenge will be completed, and the reward will be unlocked. The Bazaar Between Time in Risk of Rain 2, where players can exchange Lunar Coins for Lunar items. Unlike most of the items in the game, Lunar items aren't just random drops. Instead, they are purchased using Lunar Coins either at Lunar Pods or at the Bazaar Between Time. Thankfully, this means players won't have to rely on luck to complete the challenge — simply load up on Lunar coins and head to the Bazaar Between Time as soon as possible. In exchange for completing the Moon Worshipper challenge, survivors will unlock the Glowing Meteorite. This piece of equipment is extremely powerful, with a description stating that the Glowing Meteorite will "Rain meteors from the sky, damaging ALL characters for 600% damage per blast." In this instance, the all-capital ALL means the survivor and any nearby allies can also be damaged by the equipment's ability. 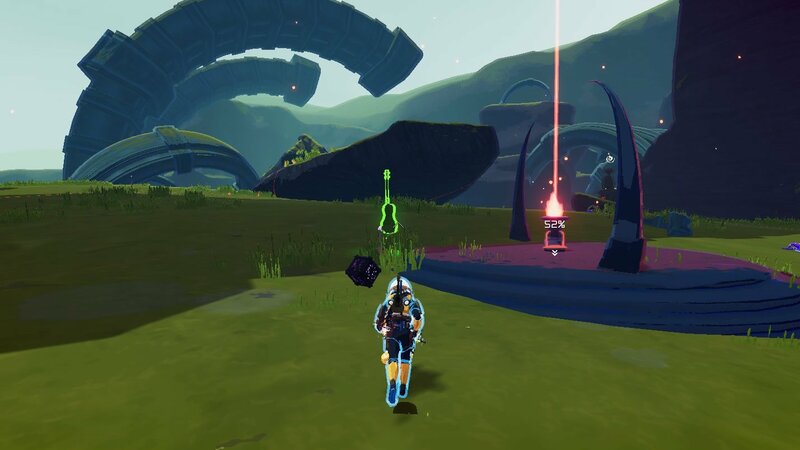 If Risk of Rain 2 players can hold onto their Lunar Coins for long enough, they'll have the funds needed to collect five Lunar items and complete the Moon Worshipper challenge. In return for their efforts, the mighty Glowing Meteorite will be unlocked. Stay on top of more coverage of Hopoo Games' latest roguelike release by heading over to Shacknews' Risk of Rain 2 home page.